I know it’s easier to just head to the supermarket and buy dips, but for flavour, value and culinary satisfaction, I often choose to make my own. This dip comes together really quickly and is creamy and salty and herby and a bit spicy all at the same time. 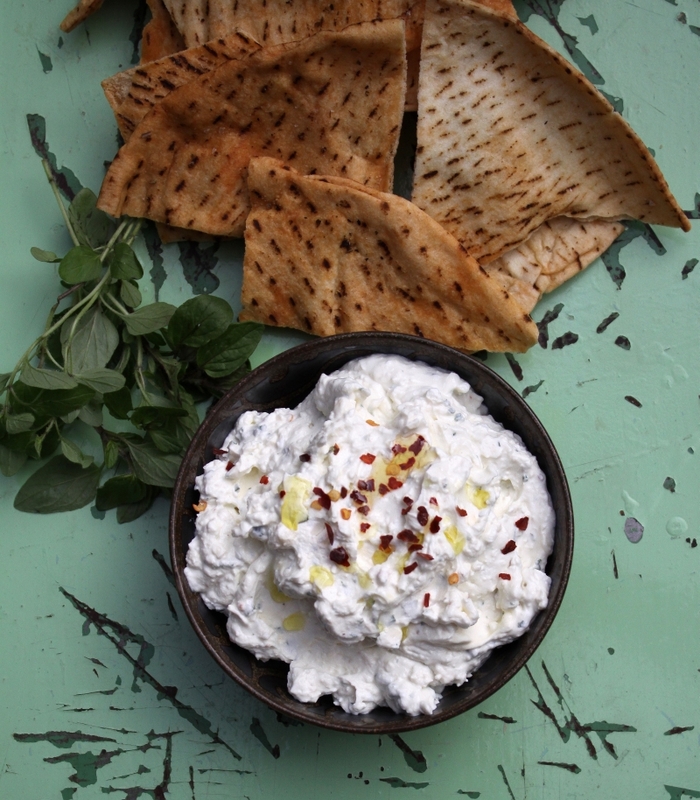 We ate it with crispy pita bread, but it would also be great smeared on crackers and followed up with a kalamata olive chaser. Put all the ingredients into a food processor and season well with the black pepper. Process until all the ingredients are combined. I like mine to be a little chunky but you can make it as smooth as you like. Spoon into a serving bowl. I like to sprinkle a few extra chilli flakes and drizzle a little more olive oil on the top. Serve with pita crisps or crackers. It will keep for about a week in the fridge. Home-made dips are way better; you control everything to suit your palate. This looks awesome! This looks wonderful. I want to start making more of my own dip, hummus, and salad dressings.